Rabbanit Chana Henkin says blaming Israel for terror attack is untrue and dangerous. 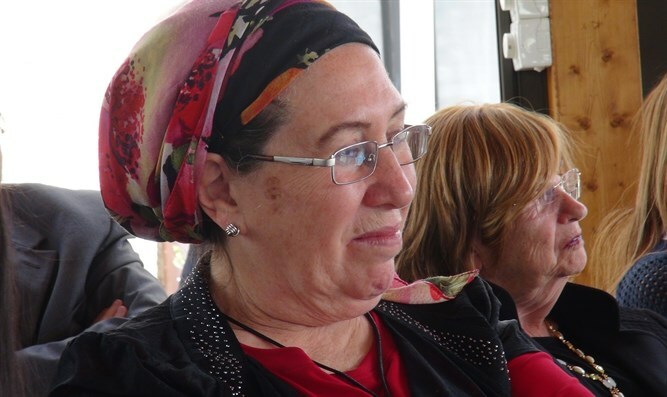 Rabbanit Chana Henkin, who heads the Nishmat Midrasha (institute of Torah study for women) in Jerusalem, slammed former Defense Minister Moshe Ya'alon for claiming Israel was responsible for the murder of her son and daughter-in-law. On Sunday, Ya'alon claimed that "The blood of the Dawabshe family in Duma and of the Henkin family who was murdered in a revenge attack is on our hands." "I am very hurt," Henkin said. "The former Defense Minister threw me back two years. The attack in Duma was awful, and we condemn the murder of the Dawashbe family. But the murder of my son and daughter-in-law was planned long before." "This was a Hamas terror cell, and they are responsible for the murder. The blood of my son and daughter-in-law is on their hands - theirs, and those of anyone who supports terror. The terror cell was comprised of fifteen terrorists, who began their activities several months prior and aimed to kill Jews. This same terror cell attempted other attacks, before the terror attack in which my son and daughter-in-law were killed." Later in the interview, Henkin said Ya'alon had attempted to explain himself via a family member. "I'm not interested in arguing, and it's not my job to explain," she said. "He tried to clarify himself, not to apologize. I am shocked that a leader of Israel, a former Defense Minister, could say that the blood of the Henkin family is on our hands, and not the hands of Hamas terrorists." "My son and daughter-in-law were on their way home from a gathering of friends, and an organized terror cell, which had attempted time and again to carry out an attack, succeeded in attacking them. Is this what he's referring to, when he says their blood is on our hands? It makes me shake. I pulled out the indictments this evening, just to be sure I remembered correctly. "In June, this terror cell began receiving weapons, and one month later, they took a course on how to use their weapons. This was a murderous cell which had trained. And we were the victims. This cell had organized in order to carry out terror attacks. "It's very dangerous to start blaming ourselves. These murderers are trying to slaughter us, and we're blaming ourselves. That bothers me a lot. A lot. These things influence our people, our discourse. Tomorrow the Palestinians will say, 'See, your Defense Minister said it was your own fault.'" In October 2015, Eitam and Na'ama Henkin were murdered in front of their four children when terrorists who opened fire towards their vehicle. The couple valiantly fought the terrorists, causing them to flee and spare the children.